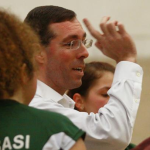 Mark Lebedew once asked how much a coach is worth. In this post much of the focus is on how much player talent drives team success vs. other things, part of which is coaching. 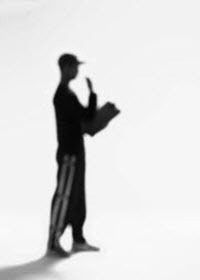 One commentator suggests that talent is 80% and coaching is only 5%, with the rest being organizational considerations. While I think the general point about the importance of talent in terms of winning and losing is valid, I would suggest that the influence of the coach is highly dependent on the level of play in question. The professional ranks and U14s are worlds apart from that perspective, to my mind. This is all part of a larger discussion Mark and I have been involved in for a while now. 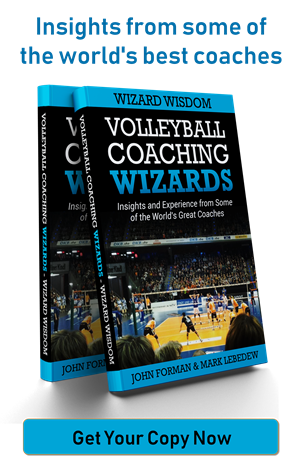 It came up in the Volleyball Coaching Wizards interview of Redbad Strikwerda and again the interview with Giovanni Guidetti, and it’s a feature subject of a Volleyball Coaching Wizards Podcast episode. In that case the focus is more on which aspect of a coach’s role is more important, training (teaching) or match coaching. It’s an interesting debate. At a certain point I began to think of myself as less a teacher and more a facilitator. I consider myself an educator and very developmentally focused by nature, so this isn’t a question of teaching and not teaching. Rather it’s about the structure of the educational process and its effectiveness. Retention is higher when a player figures something out for themselves rather than being told what to do. We’ve all seen it. You tell a player to do something 50 times and they don’t do it. Then something happens where they work it out in their own way and everything changes. From that perspective, coaching becomes mainly about putting players in position to learn for themselves. Call it guided discovery. Does this mean that you never actually teach players anything? Of course not! At the lower levels there is considerable need to instruct players on elements of the game and skill execution. As players progress, though, a lot of what they are doing is learning to adapt to varying situations and circumstances. And those adaptations necessarily change as their physical abilities and/or skills improve. We cannot possibly tell them what to do in every different scenario. The variations are effectively infinite. Instead, what we need to give them is the tools to be able to handle what comes their way. This is basically the core of the random and game-like training ideas. But it’s more than just an individual development thing. The same applies to teams as well. You can tell a team to play a certain way. They will never play exactly that way, though. At least they shouldn’t! 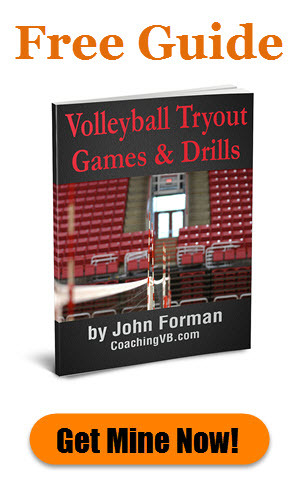 There’s too much variation in the game for one single set of rules to cover every situation. Players need to be able to adjust. We’re not training robots. Players also need to learn to play with each other, which is an on-going process. Granted, a lot of this happens when they first come together, but it’s not a one-time thing. As a season progresses the players will constantly be fine-tuning things along the way with respect to communication, positioning, play-calling, etc. Our job, as I see it, is to facilitate all that. It may seem like this is a semantic difference, but to my mind it alters the way one approaches things like how one develops a training plan. 1 Response to "Teaching or facilitating?" This is probably, at this point, my most favorite of your posts. I say this because I favor your talking points a lot. Having never been formally coached because I started at the ripe age of 30 I picked up the sport fairly quickly. I did not have an extensive athletic background. I was in the band in HS and played league basketball a couple times for my units while in the military. 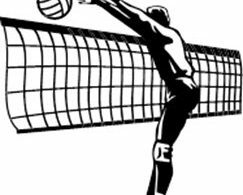 I never thought myself as an athletic person until volleyball, by which I excelled. My 7th year of competitive volleyball my men’s team won a national championship in the Men’s A division at U.S Open. I was a consistent top doubles player in our region. I could play with any partner and do well. Once I was in Denver for business and happen a guy needed a partner for some open volleyball play. We got on the court about 5ish and didn’t leave until 9:30 never losing a set. How did I accomplish so much in such a short time having never been coached. I do truly believe it was due to three things. First never being coached. Secondly my experience as a U.S. Marine, which ‘it’s not to question, but do or die’ mentality. Finally, which I think is overlooked by most coaches is visual learner. I would see someone do something successful and I would be intent on watching to figure out how he/she did it. I then try to emulate that aspect in my own game. Never got mad at my errors. Now that I only coach, I use the same mentality to be a better coach. Just this week I had a conversation with a coach online about how coaches do not know their athletes. One thing that a Marine leader must know and it’s a leadership trait that we must know, is ‘to know your men’ (troops). Most coaches do not know how their athletes learn. I just listened to Mary Wise (FL) talk about communication. In her comments she mentioned how coaches should repeat over, over, over and over again time after time in their communication. Why is that? I honestly believe it because most athletes are visual and kinetic learners, not audio. I wish I was in a position to do a study on this theory. I’m very interested in what would be that outcome. Because for me as a coach, lately I’ve use what I believe is a fast way for athletes to learn. During my training sessions I video them. Then I show them how they executed and we go over those aspects. We address the excellent through the challenging aspects. Coaches have for years use models to show skills. My opinion they don’t do it enough. 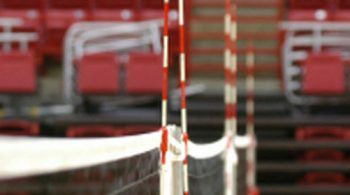 Top collegiate and national team programs are using aids like Coach’s Eye, Data Volley and such. The word is these coaches are very satisfied with the progress of their teams having use this as a training aid. I’ve use the analogy of the old saying, “I wanna be like Mike.” Kids, even adults, wanted to emulate, Michael Jordan because they had a visual image of his athletic ability and execution of skills. This is why I’ve decided to use visual more than any of the three types of learning. Actually audio is the least that I do now, other than feed back of encouragement and minor adjustments. I’ve been training athletes in a ‘figure it out fashion’ a lot lately. As you stated above. Even at the lower youth age. It seems to work and both the parents and the athletes just love it. They learn the information faster, retain the information better, and can get to the execute consistently quicker. I was training one athlete to serve after a sand league I was officiating. I notice she took a lot of steps prior to serving the ball. More important she was off balance a lot. Serves were all over the place. When I told her why she took so many steps and that her balance was causing her inconsistency. Explaining, she knows her body and she must learn to control it before she can control the ball. She made adjustments. Within 45 mins the 14yr was zone serving consistently. Mom was amazed to say the least. She wanted to pay me for a lesson, but I refused. “I volunteered because she need it more than I need money.” All it took was for her to figure it out once she knew what was the issue. Keep up the great work. I wish you the best and much success with your Svedala team.